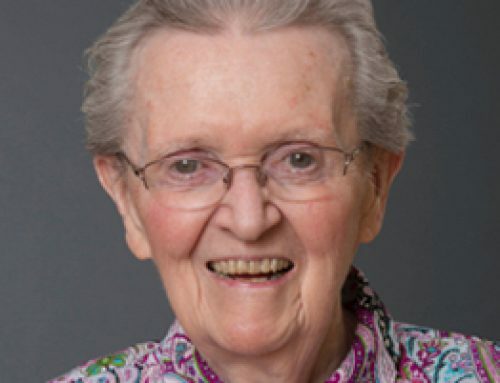 We announce the passing of Sr. Agnes Burrows, a Sister of Charity of Halifax, into new life. During her lengthy illness, she displayed much courage and a positive attitude. She was a great inspiration to us and showed us how we should die. Sister Agnes passed away on Saturday, May 26th, 2018 at the Glace Bay Hospital. Born in Glace Bay Dec. 29, 1931, she was the eldest daughter of Murray and Tina (McNeil) Burrows. Living during the Depression years and in a loving and faith-filled home she learned at an early age that living was all about being there for others and she displayed this throughout her entire life. 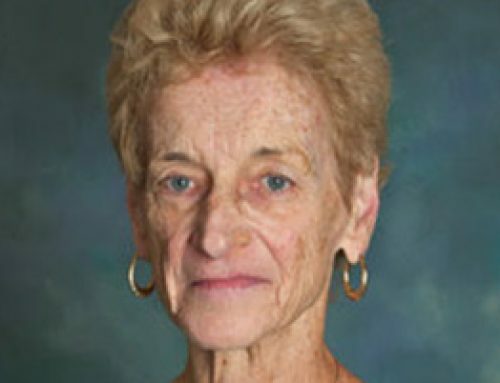 She was a woman of great faith and was very keen and knowledgeable on many topics. She did not hesitate to share her God-given gifts with all those she encountered. 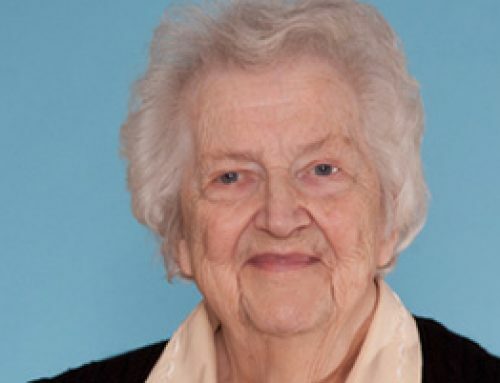 She was active in many ministries, teams and committees, including, teaching, pastoral work, Catechetics, Missionary Work, Retreat Work, Spiritual Direction, Work with the Antigonish Deaconate Program, Social Justice, Project North, Parish Work, Ministry of Dying, etc. In recent years she was involved in The Charity Associate Program, Spiritual Direction, Seton Foundation, Peace Quest Cape Breton, Glace Bay Adult Faith Committee, L’Esperanza Team, Global Concerns, Cape Breton Coalition for Social Justice, The Healing Church Committee, Lector, Ingonish and Holy Cross Parish Councils. 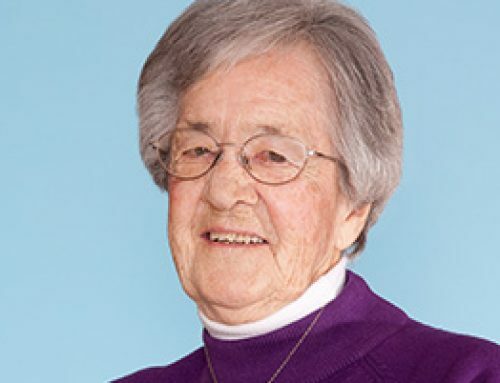 She shared her many gifts and carried out her ministries wherever she was needed – in Halifax, Lakeside, Timberly, Peru, Lower Sackville, the Renewal Centre in Halifax, Ingonish and her home parish of Holy Cross, Glace Bay. 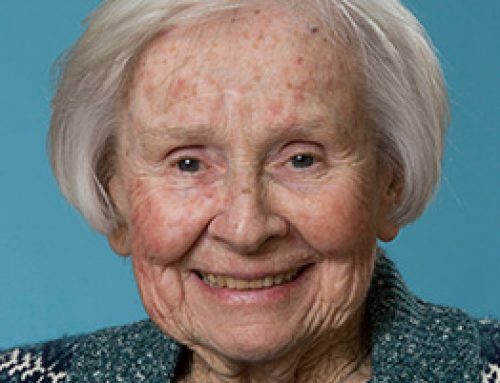 She had a great love for her family, her friends and a passion for the poor. Finally, even though sick, she ministered to her Religious Sisters and Charity Associates, her biological family, her friends with whom she journeyed, the priests, doctors, Home Care Workers, VON’S and the entire staff of the Glace Bay, CB Regional and Harborview Hospitals, and those who visited. To all, she showed great courage and was always thankful for the compassion and skills of all and made it a point to tell them. She is survived by her siblings, her brother, Murray, sisters, Sr. Martha Eileen, Tina (Oran) Mosher, Kay (Joe) Mauti, Carol O’Quinn, Cheryl MacKenzie, Martha (Danny) Matheson, her many nieces, nephews, grand nieces, grand nephews, cousins and friends, her Religious Family, The Sisters of Charity of Halifax, the Charity Associates, all of whom were very dear to her. She is also survived by her only living aunt, Blanche Burrows. Besides her parents she was predeceased by her brothers and their spouses, Bert (Barb), Gerard (Eleanor); sister and her husband, Theresa (Alban) Thomas, nephew, Oran Mosher; brothers- in- law, Eric MacKenzie and Hughie O’Quinn, Visitation will take place on Tuesday, May 29, 2018, from 2-4 and 7-9 p.m. in V.J. McGillivray Funeral Home, 16 Reserve Street, Glace Bay. 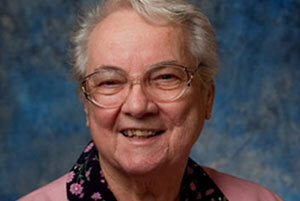 A celebration of Sr. Agnes’ life will be held at Holy Cross Church on Wednesday at 2 p.m. with Fr. Norman MacPhee officiating. A reception will follow. Interment in the parish cemetery. Family flowers only. In lieu of flowers donations may be made to the Sisters of Charity Ministry Fund at Caritas Centre, 215 Seton Road, Halifax, NS, B3M 0C9 or a charity of choice. Online condolences to the family can be expressed at: www.vjmcgillivray.ca.